We offer house cleaning services based on your needs, and that is what makes Strategic Cleaning by Anne unique. We do not tell you what we will do in your home. We work with you to determine what you need and want. If you are working within a budget, we will prioritize your cleaning needs and work within your budget as best as we can. We try to be as flexible as possible, and do our best to provide many options to our clients. We use traditional household cleaners, many clorox based. Please remember, even when it comes to the products we use, we are sensitive to your likes and dislikes. If you prefer we use certain types of products, we ask that you leave the product out, and we will use that instead of our product. This is an area that is very important to cover when we have our walk though. Our methodology is simple – we clean everything top to bottom! 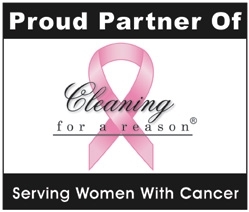 98% of the time, our first maid service in your home will be what we call a “Deep Cleaning”. We will literally remove any cobwebs from your ceiling, and then work our way down to your floors. Light fixtures, knickknacks, the top of your refrigerator, you name it. We clean it. We do charge extra for the deep cleaning, but it is worth it. We then go into our regular maintenance mode for our house cleaning services. We still clean top to bottom, and we keep our eyes open for any recurring issues. We will even take it upon ourselves to do a little extra if we see something. For example, many of our clients have pets that leave smudge marks on their windows. Smudge marks may not have been discussed on our walk-through, but if we see it, we will certainly clean it. We are very serious about our house cleaning services. We provide our own household cleaners unless you want us to use yours. Usually customers prefer we use their products for their stainless steel appliances, granite counters, or various types of flooring. We ask that you leave the product out on a counter, so that the crew knows you want them to use it. We have a policy not to open cabinets, unless you have given us permission, which is why we ask you leave the product on a counter. We also have a closed door policy. If the customer closes a door, we are not allowed to enter the room. There may be times when you don't want a cleaner to enter a room. This is a simple way to make sure you have that privacy. Please click here to learn about our other policies. Most important, we really care. My staff always performs at a high level, and understands the concept of doing more than is expected. Was this house cleaning services page helpful? If not, please call me at 725-5568 or contact me by clicking here.